Update: We’ve just received the official recall notice from milKit regarding the Boost tubeless tyre inflator – see below for the full recall notice. Madison, the distributor that imports and sells milKit products in the UK, has just gotten in touch with us to let us know that there is an immediate recall on the new milKit Booster tubeless tyre inflator. The advice we can pass on to those who own a milKit Booster inflator is to stop using this product immediately. According to Madison, there is a defect in the product that makes the valve unsafe to use. 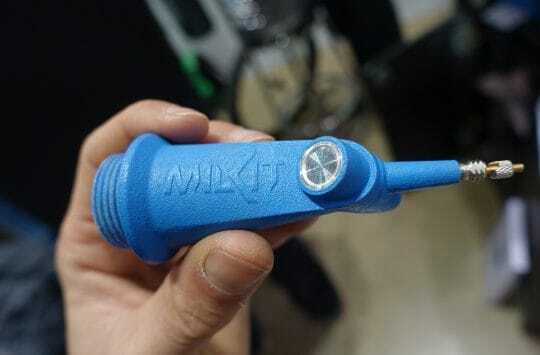 Apparently milKit was informed by its factory this morning that the first batch of the Booster has a serious production error in the valve and isn’t safe for use. When under pressure, part of the valve can come away, which would see this part shot out of the head of the inflator, potentially at a very great speed. Which as you’ll probably agree, sounds absolutely terrifying! Madison has informed us that there will be an official recall notice coming from milKit, so we’ll update this article as soon as that notice has been sent through to us. For the time being, any existing user of a milKit Booster inflator is advised to stop using the product immediately, and return theirs to the original retailer for a refund or replacement. Got absolutely no idea what we’re talking about? The milKit Booster is a compact tubeless tyre inflator that’s designed to thread onto a SIGG-style water bottle. The bottle is then pressurised via a regular floor or mini pump fitted to the charging valve, then the release valve on the Booster head can be pushed onto a tubeless valve, allowing the pressurised air to rush inside the rim to help seat the beads of the tyre into the rim. milKit recommends charging the bottle to around 160psi. “We have received reports concerning the milKit tubeless booster products recently launched to the market. It is possible that parts may become detached from the booster during inflation. Before the milKit tubeless booster products were released to market, we subjected them to the latest state of the art safety tests, no problems were encountered. We are checking whether the problems are caused by a manufacturing defect or appliance failure. However, in order to exclude any risks, we would like you to stop using all milKit boosters and contact the retailer of your milKit booster in order to follow the product recall. Sports components AG, Nordstrasse 174, 8037 Zurich, Switzerland. 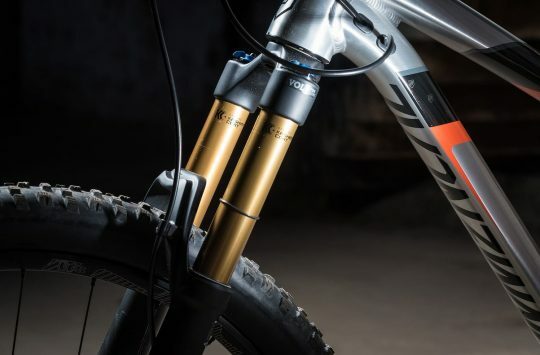 Is The New milKit Booster The Cheapest & Simplest Tubeless Tyre Inflator Ever? I think the advice should be destroy it and then throw it away. …then you won’t get a refund. Any responsible manufacturer faced with a potentially dangerous product will want all the affected items taken out of circulation so that they care all accounted for, it looks like this is what milKit are doing by asking that people return them, standard procedure. Well that makes me feel safe, having set up 4 tyres with it over the weekend! Lets hope that Milkit get it sorted soon. Saw this on ADVNTR last week. James apparently had a valve stuck in his shin. He had significant bruising where the bottle hit him. It could have been far worse. Just sold one of them today! Thou I think Madison is OK, I do think they drop the ball on this with no email (even a blanket email to all dealers would of done) OR even something on the B2B would of been good. But no I get to read about it else where first! 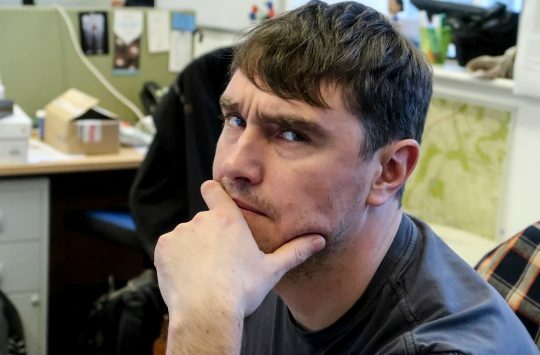 @avdave2 – Sorry about that – we had to edit the information in the article, as the original info we received was somewhat confusing. That original directive to ‘stop using and throw away’ was specifically to magazines/publications. I’ve since edited the article to be more specific for milKit customers who have purchased a Booster, which is to return the original product to the place of purchase for either a replacement or a full refund. Hope that helps explain, and my apologies for the confusion in the first place! Although this falls under sound engineering practice from a design point of view i amamazed that its got to market. You are basically selling something that people can pressurise a cylinder with that has, potentially, no safe working pressure. with a getto system you are aware that there is a risk. With this you would expect it to be designed out. It hasn’t. If anything its worse. Would anyone actually return it for a replacement?! It’s a great concept – worked extremely well on the 4 tyres I’ve used it on so far, including a 3.0″ 29+ tyre. Obviously it’s slightly worrying that it might have taken my face off in the process. I’m hoping they iron out the issue and I’ll get a replacement. So far all I’ve received from the place I bought it from is an email saying that it’s a “voluntary recall”. I’m not sure that tallies with the press release above. Damn happy I checked this today. I had just got my hands on one and was about to use it tonight! Picking up on @andybrad’s point, with a ghetto system you will typically be using something designed to take pressure (a pop bottle or fire extinguisher). An ali water bottle is not designed to take pressure. Thinking along the same lines as greyspoke – there always used to be a dire warnings on Sigg drinking bottles not to use them as fuel bottles for pressurised cooking stoves (like the MSR multi-fuel ones). I assume that a proper fuel bottle would be OK …..
Freeborn have made no attempt to contact me having bought a booster kit a few weeks ago. They have my email/phone number/address etc. I have even emailed them this article to ask about it! And the water bottle from the kit is really thick, it weighs more than I thought it would. I can’t see how this could ever be a safe system, as the threaded connection is a very likely failure mode, which the designer only has control of one half of the interface. Even that part it seems is not under full control. Any common pressure systems I’ve used (brake hoses, gas fittings, compressed gas cylinders, heating systems, CO2 inflation systems, bottles of prosecco) has this designed as a whole system, from materials that are up to the job, and thoroughly over engineered. Not a bit of plastic screwed into whatever happens to approximately be the same thread size. Are you sure? As they emailed me about mine on the first day of the recall, and have now updated with another asking it to be returned for a refund. Apparently there is no timescale for replacement items, so it it has to be a refund not replacement. I’m going to ask them for an assurance that if and when it comes back in (and I still want one then) they will sell me one for the original price I paid.